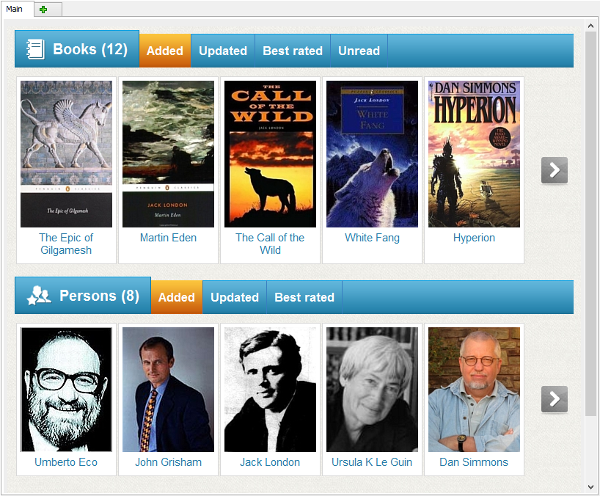 If you add information about books and authors, covers and photos will be displayed on the home page. There can be only covers, if no information about persons is downloaded or otherwise added. Here we can see the logo of the program, the "Add book" button (clicking on it starts the "Add book" wizard), logos of sites where Booknizer downloads information from, a copyright note, and the "Like" button. Clicking on a site's logo will open the corresponding site in your default browser. The "Like" button is used as a reference to the Facebook page of 3 organizers. 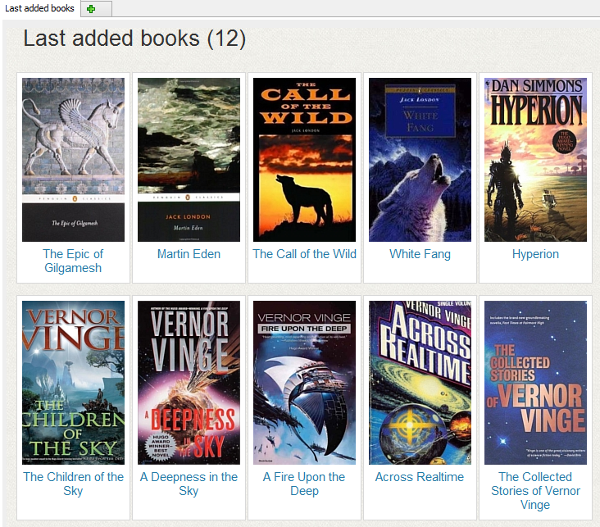 Once you add some books and / or authors, the home page becomes similar to the one displayed on the first screenshot. 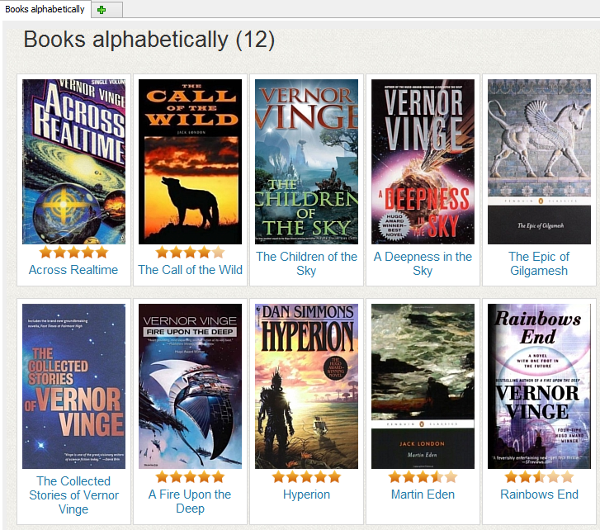 The "Added" tab shows last added books / persons. The "Updated" tab shows entries that you updated recently (redownloaded information, entered some details manually, rated the book or the person, etc.). "Best rated" refers to your own rating (star rating). If you do not rate your books / persons, the entries will be sorted similarly to the "Added" tab. The "Unread" tab shows books that do not have their "Read" flag set. This article describes elements of the Breeze user interface. Other available interfaces offer similar features.